Apple appears to have planned a Gold Apple iPhone X according to documents filed with United States Federal Communications Commission (FCC). 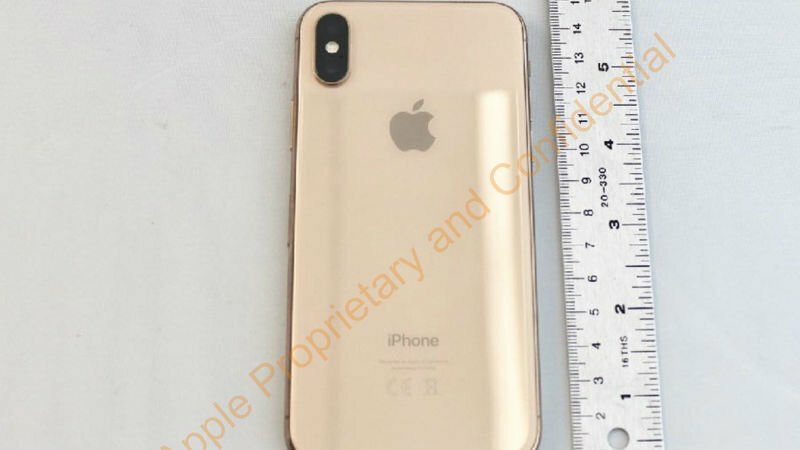 The FCC document that comes courtesy of MacRumors was filed in September last year and includes several images of a gold iPhone X with multiple angles to outline the included features and dimensions of the device. The unreleased gold iPhone X has a gold stainless steel frame with a gold glass back, similar to the iPhone 8 and 8 Plus. The Gold variant also has an ‘A1903’ model identifier, while the current iPhone X models have identifiers ‘A1865’, ‘A1901’, and ‘A1902’. The report notes that smartphone companies are required to share details of their upcoming devices with the FCC, which Apple did for the iPhone X in September 2017. Now that 180 day confidentiality period on the photos has recently expired, the iPhone X in Gold photos has been released. It appears that Apple had likely planned on releasing iPhone X in three colour options – gold, silver and space grey. However, it was forced to shelve the gold colour option ahead of the release due to production issues. To recall, leading up to last year’s iPhone launch event, rumours indicated that iPhone was expected to release in three colour variants. However, Apple went with only two colour choices for iPhone X: space gray and white/silver. 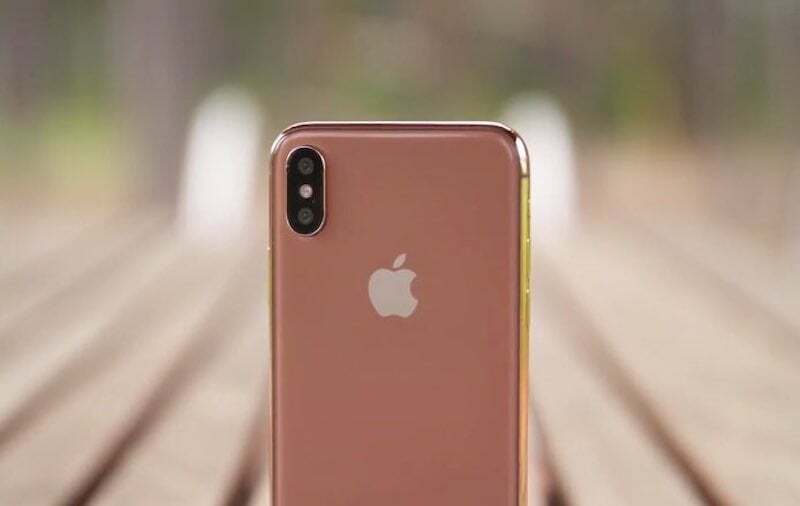 KGI Securities analyst Ming-Chi Kuo had at that time said that Apple was having problems manufacturing a “Blush Gold” iPhone X which will go on sale at a later date to give Apple time to resolve the issues. It’s possible that the stainless steel frame of the gold iPhone X was causing problems, as Apple was able to release the iPhone 8 – which uses an aluminium frame – in gold. Lately, it has been speculated that Apple may be aiming to introduce a new colour for iPhone X in an effort to boost mid-year sales of the device. It is possible Apple will debut the said model at the upcoming Worldwide Developers Conference event in June. Moreover, Apple is said to be working on releasing 2018 iPhone lineup in the traditional gold, silver, and space gray options regardless of whether or not the said Gold iPhone X arrives.